Fairy tales and futuristic worlds collide in this best-selling series! When cyborg Linh Cinder (Cinderella) is approached by Prince Kai for her mechanical skill, she has no idea she'll be come a part of struggle to end Queen Levana's tyrannical rule. With the help of Scarlet (Red Riding Hood), Cress (Rapunzel), and Winter (Snow White), will the queen fall to a revolution before this world of androids, cyborgs, and glamors tears itself apart? 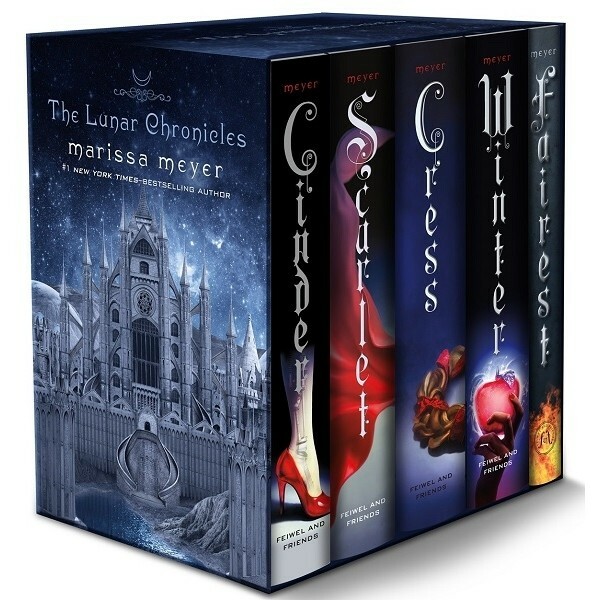 The #1 New York Times-bestselling series that brought fans a complex and thrilling world of cyborgs and evil queens is now available as a beautiful boxed set. 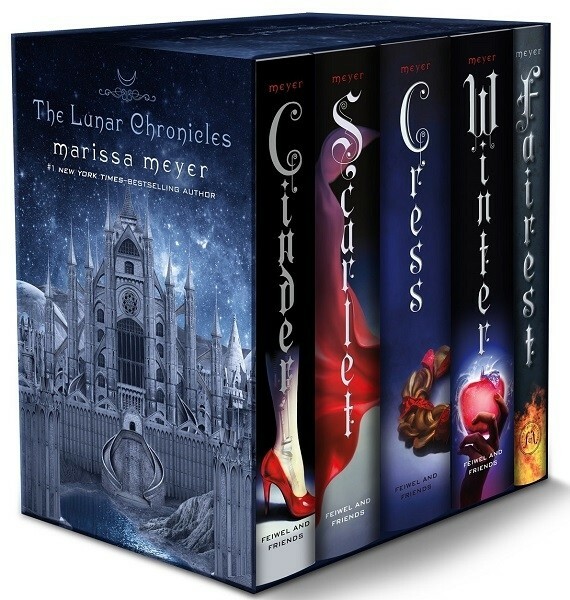 Follow Marissa Meyer's The Lunar Chronicles from the beginning with Cinder, Scarlet, Cress, Fairest: Levana's Story, and the epic conclusion, Winter.